Beyond helping drivers of Brunswick and surrounding Georgia areas discover and drive home in the vehicle that fits their lifestyles, our teams here at Awesome Nissan of Brunswick are also dedicated to being involved in our community. We are honored to support the following organizations: Brunswick-Golden Isles Chamber Experience, Southeast Georgia Health System Bridge Run, and United Way of Coastal Georgia. When you shop for new and used cars for sale here at our Nissan dealership near Dock Junction, GA, you are not only acquiring a stunning sedan, SUV or truck, but you are also contributing to the different causes we support. So, don't hesitate to swing by and test drive the vehicle you've got your heart on today! 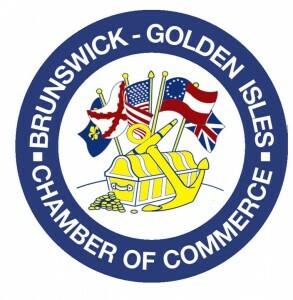 The Brunswick-Golden Isles Chamber of Commerce is dedicated to the prosperity and continual economic growth of the Brunswick and Golden Isles area. This is a membership-driven, non-profit group of business enterprises, educational institutions, and individuals who work together to create and bolster business opportunities in this area. Awesome Nissan of Brunswick is proud to be the presenting sponsor for the Chamber Experience in May of 2015. This evening of fun and food provides the financial support for many Chamber of Commerce activities, and includes silent and live auctions. Known by the U.S. Track and Field Association to be “the toughest 5K in George,” this run across the beautiful Sidney Lanier bridge in Brunswick, Georgia, raises money for the cancer care program of the SE Georgia Health System. Awesome Nissan of Brunswick is proud to support the Firefighter Challenge, in which southeastern area firefighters run the length of the bridge and back in their full gear. United Way of Coastal Georgia is dedicated to making the local community into a place where everyone has the opportunity to reach their maximum potential. They do this by bringing together community members to help others with their education and health in order to create income and stability. Our employees are proud to be involved in a workplace fundraising campaign every year for the United Way.